After “Tracy Napier was convicted by a Perry Circuit Court jury of first-degree assault and sentenced to ten-years' imprisonment”, arguing, among other things, that the trial judge erred in letting the jury “replay a witness's testimony using the prosecutor's unclean laptop in the jury deliberation room”. Napier v. Commonwealth, 2014 WL 3973113 (Court of Appeals of Kentucky 2014). a Perry County grand jury and charged with one count of attempted murder after he allegedly shot Carl Holbrook. Napier's first jury trial resulted in a hung jury. Napier's second trial commenced on July 23, 2012, and he was found not guilty of attempted murder but guilty of first-degree assault. . . . [T]he trial spanned eight days and Napier and the Commonwealth have chosen not to recite the evidence at length. To avoid searching the record for unnecessary detail, we limit the facts to those presented in Napier's and the Commonwealth's briefs. Napier and the Commonwealth focus on two interviews conducted by Detective Randy Combs played to the jury. From those interviews, two different versions of the facts leading to the shooting emerged. Holbrook and Wooten drove toward Napier's home in a truck and Napier appeared on his motorcycle. Wooten estimated the truck and Napier's motorcycle were separated by 20 yards. Holbrook exited the truck and Napier got off his motorcycle and approached Holbrook pointing a gun at his forehead. Wooten warned Napier they had a gun. After hostile words were again exchanged, Napier shot Holbrook in the leg. As Holbrook attempted to enter the truck, Napier shot him in the back and Holbrook fell to the ground. Napier then shot him again. Wooten threw Holbrook a gun and when Holbrook fired, Napier shielded himself behind his motorcycle. Napier drove away threatening he would return and `finish Holbrook.’ Wooten called 911 and attempted to stop Holbrook's bleeding. was riding his motorcycle in a trailer park and, when he attempted to leave, the road was blocked by a landscape timber. When he stopped, Holbrook approached. Following a verbal confrontation and as Napier departed, Holbrook warned that he knew Napier and where he lived. Upon arriving at his home at the end of a long driveway, Napier heard his dog barking causing him to ride down his driveway. Approximately halfway down, Holbrook and Wooten appeared in a truck. Upon seeing Napier, Holbrook exited the truck and walked toward Napier. 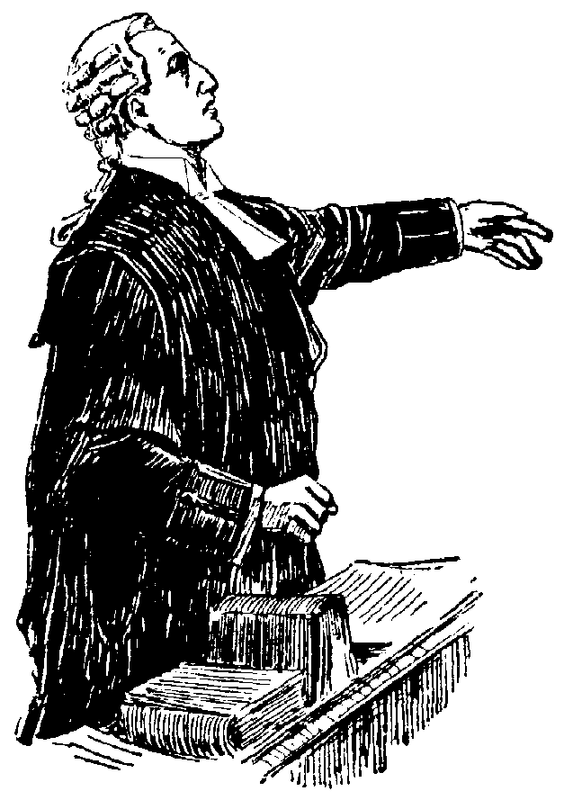 Holbrook reached for a gun from his pocket and began shooting at Napier: Napier shot back. Napier retreated and drove to his father's home. After Napier informed his father Holbrook had been wounded, Napier's father called 911. Napier then drove to his brother's home, which was close to his own, and waited on the road to flag the police officers responding to the 911 call. At this point in the interview, Detective Combs informed Napier that the location of the shell casings at the scene indicated Napier could not have been near his motorcycle when he first started shooting and the shell casings were very close to Holbrook's truck. He informed Napier of Wooten's statement that Napier shot first. [d]uring deliberations, the jury requested to replay the CD of Wooten's interview with Detective Combs. Apparently, the only device available to replay the CD was a computer. After the trial court stated it could not spare its computer, the prosecutor volunteered her laptop, which the trial court ordered the bailiff to take to the jury deliberation room. Defense counsel did not object to the use of the prosecutor's laptop by the jury or request the jury replay Wooten's interview in the courtroom. 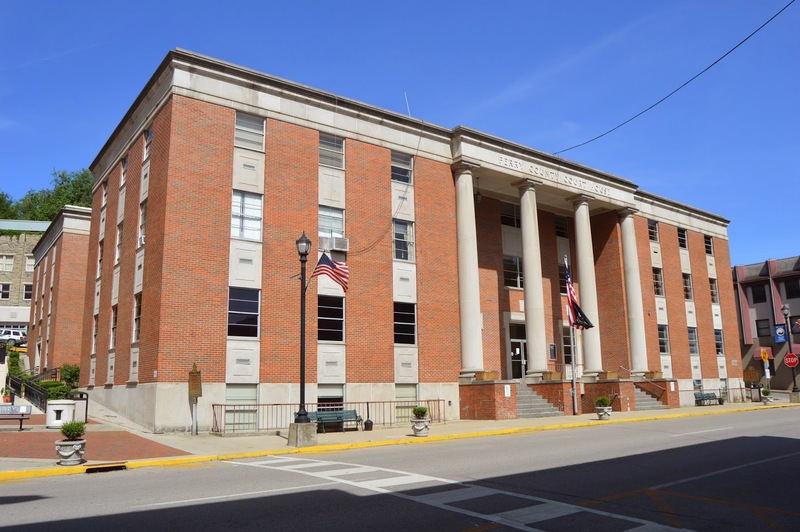 The Court of Appeals then noted that the Kentucky Supreme Court decided McAtee v. Commonwealth, 413 S.W.3d 608 (2013) after Napier’s trial ended. Napier v. Commonwealth, supra. It also noted that while the McAtee case is “not without factual distinctions from this case, its facts are strikingly similar and the law espoused therein is pivotal to our analysis” so “[m]ore than a cursory discussion of that case is warranted.” Napier v. Commonwealth, supra. expressed to the trial court its desire to review a witness's videotaped statement given to a detective investigating a murder allegedly committed by McAtee and admitted as evidence. The trial court did not contact either party regarding the jury's request and provided a DVD player. ,. . . However, the jury sent a second note to the trial court indicating the DVD player would not read the disc. The trial court then contacted the Commonwealth and requested it provide a `clean’ computer on which the jury could review the statement. The Commonwealth provided the computer and informed defense counsel it had provided the computer. . . .
Based on these facts, the Court analyzed whether the trial court erred when, without notifying defense counsel of the request, it provided a clean computer to the jury for it to view a witness's videotaped statement in the jury deliberation room without the presence of the trial judge, counsel or McAtee. Because of the danger that the jury will place undue emphasis on testimony re-examined as compared to the live testimony, the Court held our rules of criminal procedure prohibit the review of a witness's testimonial statement in the privacy of the jury room. began with Kentucky Rules of Criminal Procedure (9.72) which provides in part: `Upon retiring for deliberation the jury may take all papers and other things received as evidence in the case.’ Although the rule uses permissive language, `it is error to permit the jury to take certain testimonial evidence to the jury room.’ Id. at 621. Noting that it previously decided in Tanner v. Commonwealth, 2013 WL 658123 (2013), a jury is not permitted to take a recorded testimonial witness statement to the jury deliberation room, the [Supreme] Court stated with clarity: `[A]lthough RCr 9.72 by its terms, permits the trial court to exercise discretion over the evidence the jury may take with it to deliberations, the court abuses that discretion when it permits the jury to take testimonial witness statements to the jury room[.]’ . . . Having concluded the trial court erred, the Supreme Court addressed whether the error required reversal. In doing, it applied a harmless error standard to the trial court's violation of RCr 9.72. The Court perused established precedent for guidance. It observed that in cases where the violation was deemed prejudicial, mere error in allowing the jury to take evidence into deliberations was not a basis for reversal absent `additional factors and errors[ . ]’ Id. at 622 (quoting Tanner v. Commonwealth, supra). The Court concluded that in McAtee's case, ‘the judgment was not substantially swayed by the error.’ McAtee v. Commonwealth. Napier v. Commonwealth, supra. So, in that case, the error constituted harmless error, rather than prejudicial error that would have required a new trial. The Court of Appeals then explained that while the McAtee decision is “the most recent published case dealing with testimonial evidence, McAtee is not the Supreme Court's last word on the use of a laptop during jury deliberations.” Napier v. Commonwealth, supra. In Crews v. Commonwealth, 2013 WL 6730041 (Kentucky Supreme Court 2013), the Court considered whether the review of non-testimonial evidence by the jury during deliberations on a laptop provided by the Commonwealth was error. The laptop was not clean as in McAtee and, therefore, the device used, rather than the nature of the evidence itself created error. Id. at 7. In that case, as here, the issue was unpreserved. Id. at 6. The Court began by stating the obvious risk of the jury's use of the Commonwealth's unclean laptop. `In its cloistered deliberation, the jury might access inadmissible evidence on an unclean laptop.’ Id. at 7. However, ultimately the Court held there was no palpable error because the appellant had not demonstrated `the occurrence of improper conduct by the jurors or any actual prejudice resulting from the jurors' limited use of the laptop.’ Id. (emphasis added). The Court of Appeals then explained that, based “on our Supreme Court's most recent decisions cited, we reach three conclusions.” Napier v. Commonwealth, supra. First, a trial court commits error when it permits the jury to review testimonial evidence in the privacy of the jury deliberation room. Second, the trial court commits error when it permits the jury to review testimonial evidence after it has retired for deliberation without the presence of the defendant. Third, the trial court's use of an unclean laptop to review non-testimonial or testimonial evidence during deliberations is error. Here, all three errors occurred: The jury viewed testimonial evidence in the jury deliberation room without the presence of defense counsel or Napier and was provided the Commonwealth's unclean laptop. Napier v. Commonwealth, supra (emphasis in the original). provides an error is palpable if it `affects the substantial rights of a party’ and a `manifest injustice has resulted from the error.’ It is an error that is `easily perceptible, plain, obvious and readily noticeable. Brewer v. Commonwealth, 206 S.W.3d 343 (Kentucky Supreme Court 2006). Relief may be granted for palpable error only upon a showing of `probability of a different result or error so fundamental as to threaten a defendant's entitlement to due process of law.’ Martin v. Commonwealth, 207 S.W.3d 1, 3 (Kentucky Supreme Court 2006). We conclude the cumulative effect of the errors in this case rises to the level of palpable error. [a]s in the first trial that resulted in a hung jury, the evidence against Napier was not overwhelming and Wooten's statement to Detective Combs was more than merely cumulative. It directly contradicted Napier's statement and undermined his defense that Holbrook was the aggressor. With the exception of the forensic evidence, Wooten's statement was perhaps the most damaging evidence to Napier's defense because if believed, it presented him as the aggressor and as a liar. Obviously, the jury had some disagreement regarding the content of Wooten's statement and found the statement significant or it would not have requested that it be replayed. Because the jury viewed Wooten's statement in the jury room, it is unknown what parts of Wooten's statement were replayed or how frequently. We can say with fair assurance that permitting the jury to replay the statement in violation of [Kentucky Rule of Criminal Procedure] 9.72 and [Kentucky Rule of Criminal Procedure] 9.74 substantially influenced the jury's decision. Therefore, the violations of our criminal rules rose to the level of reversible error under the standard set forth in McAtee. The question is whether those violations, combined with the use of the Commonwealth's unclean laptop, requires we reverse under the palpable error standard. [t]o be candid, we have difficulty with permitting the jury to retire to the deliberation room with any electronic device from which outside information, including the internet, can be accessed. The jury room is the courtroom's sanctuary, a place where the jury is to perform its most sacred duty without outside influences and information. However, we glean from McAtee that our Supreme Court does not share our view that such devices, clean or unclean, are not proper in the jury deliberation room. Here, the use of the Commonwealth's unclean laptop presents an even more vexing problem. Not only was it possible for the jury to access outside information from internet sources, without restriction it had access to the Commonwealth's computer data, including information particular to Napier's case. [i]t is fundamental to our jury system that the jury consider only evidence presented at trial in the presence of the defendant and subject to cross examination. As observed in Crews v. Commonwealth, 2013 WL 6730041 (Kentucky Supreme Court 2013), not all recordings used as evidence are in a format playable on a clean and regular CD or DVD player available in our courtrooms. However, a trial court must preserve the integrity of the jury to ensure it considers only the evidence requested during its deliberations. We conclude that providing the jury with unrestricted use of the Commonwealth's unclean laptop is simply not a constitutionally sound solution to a technological deficiency. To ensure a defendant receives true due process and that our criminal rules are not violated, the solution in such situations is simply to replay a witness's statement in open court with the trial judge and the parties present. We conclude that the cumulative effect of the errors in this case requires reversal. The errors were `jurisprudentially intolerable.’ Martin v. Commonwealth, supra. If you are interested, you can read more about the case and the prior proceedings in news stories you can find here and here. It looks like Napier may face a third trial.